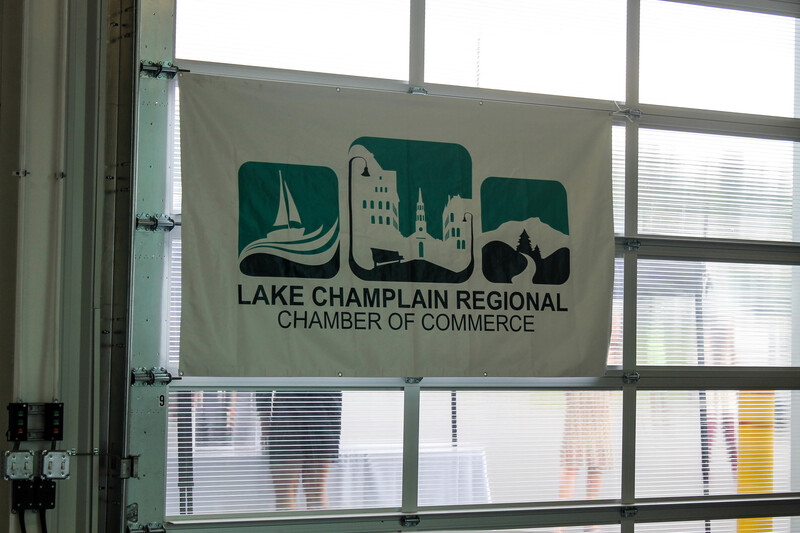 This July, the Lake Champlain Regional Chamber of Commerce held their monthly networking event at our new Heritage Toyota Parts and Service Building. The event was a great success, attracting over 150 Chamber members. Heritage Toyota provided catering, door prizes, entertainment, H-Team members, and of course – Rusty Dewees. We’d like to thank the Lake Champlain Regional Chamber of Commerce for letting Heritage Toyota host the networking event, and hope all who attended had a great time!. 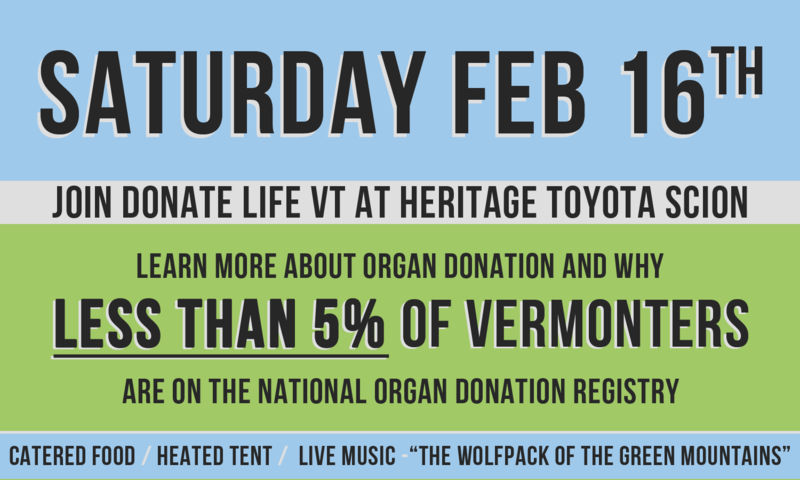 This Saturday, February 16, 2013, Heritage Toyota Scion continues its support of Donate Life VT by hosting an event to learn about organ donation from the Transplant Donor Network. The event will be catered, have an outdoor heated tent, and Vermont’s own, The Wolfpack of the Green Mountains will be playing! We’ll have Heritage / Donate Life VT shirts for guests, as well as computers available for registering on the national registry! To learn more on how Heritage Automotive is spreading More Love with Donate Life VT, head here. Around the country, November 15th was Go Further with Ford Night – a night dedicated to partnering Ford dealerships with their local charities in order to fundraise up to $500. 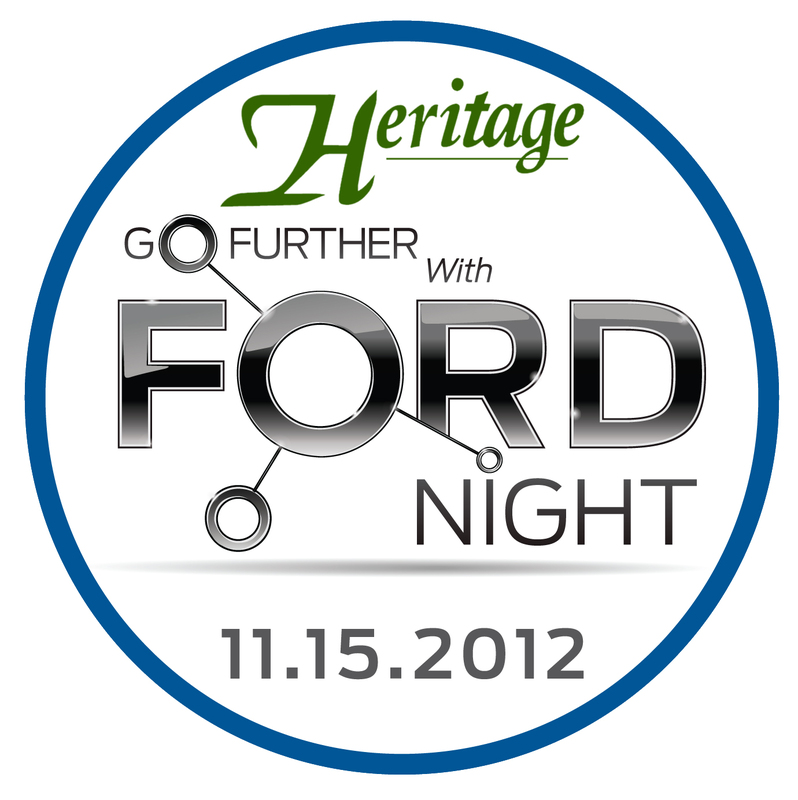 Heritage Ford partnered with the Chittenden Emergency Food Shelf and for each person that attended, $10 was donated. At the event, guests also had the chance to try their hand at judging an American Idol contestant in order to win a trip for two to LA and a guest judging spot on the show. All guests who preregistered or came to the event are entered to win a trip for 2 to LA to sit in the audience during American Idol. Guests who came to the event and signed in are also entered in to win a brand new 2013 Ford Fusion. We had a total of 31 guests, so Ford Motor Company will be donating $310 to the Chittenden Emergency Food Shelf in the coming weeks! A big thank you to everyone who came out to the event and helped make it a success. We love being a part of the South Burlington community and really appreciate all the support from our community members. 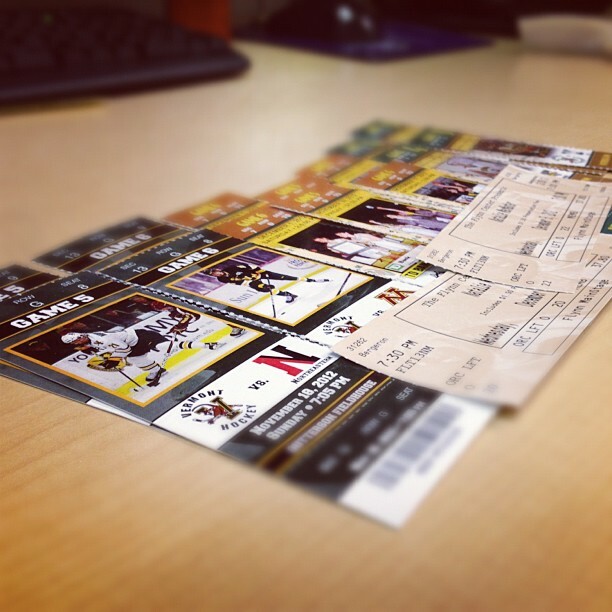 We’re going to be raffling off all these tickets at our Go Further With Ford Night! 11/15/2012 4pm-8pm! For each person that shows up, Ford Motor Company will donate $10 to the Chittenden Emergency Food Shelf! This past Saturday we had the opportunity to help sponsor the Zombie Run, which partnered with Smile Train, at the Champlain Valley Fair Grounds. We chose the two trucks on our lot that best fit the description of “Zombie-Killing Trucks,” and set them up at the finish line for all to admire. 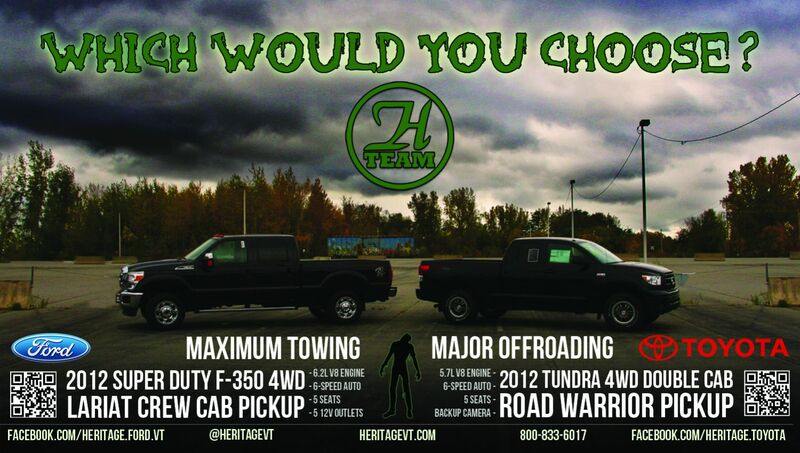 Well, which one would you choose? Septembeard: Grow Some. Save Some. August was drawing to a close; the leaves were green, the sun was hot, and my phone was ringing. I was immediately on board. I was so excited to participate, to out-fundraise, to share the team’s progress, to inform Burlington and all of Vermont what we were doing, and then it hit me. I can’t grow a beard. I just can’t. I guess I could have tried harder, could have focused more time and energy on growing a beard, but I think Larry meant for me to help with the behind-the-scenes aspects and leave the beard growing to those genetically capable: the men of the H-Team. 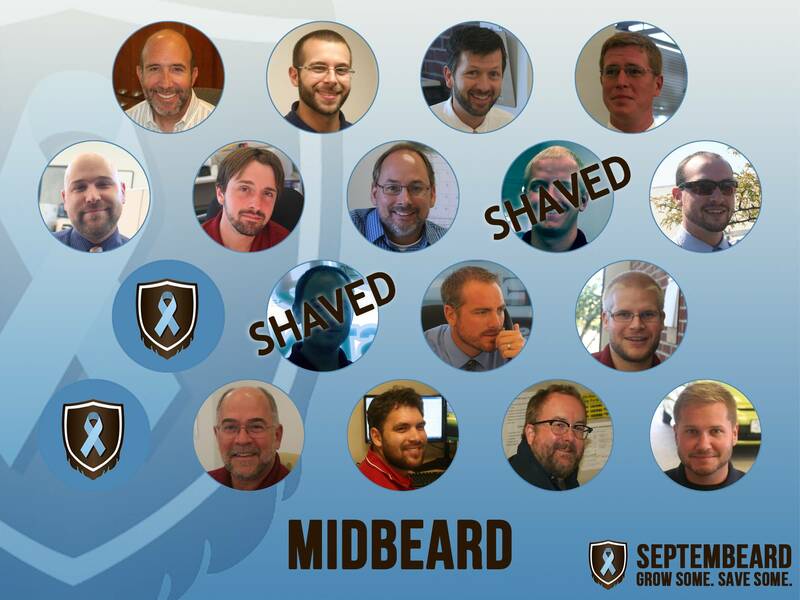 At the end of sign-up, seventeen brave, brave men throughout the dealerships had committed to a month of follicle flourishing. It was quite a sampling of employees; from Ford Parts warehouse staff to Toyota sales managers, and from our website coordinator to President and CEO. Everybody was ready to bring their B-Game. Beard-Game. Grade A B-Game. Everybody was ready to grow a beard. As you can see, not all 17 started clean. Dan got about two day’s head start, and Rich has always rocked a wicked walrus ‘stache and decided to grow out the rest of his beard for charity. 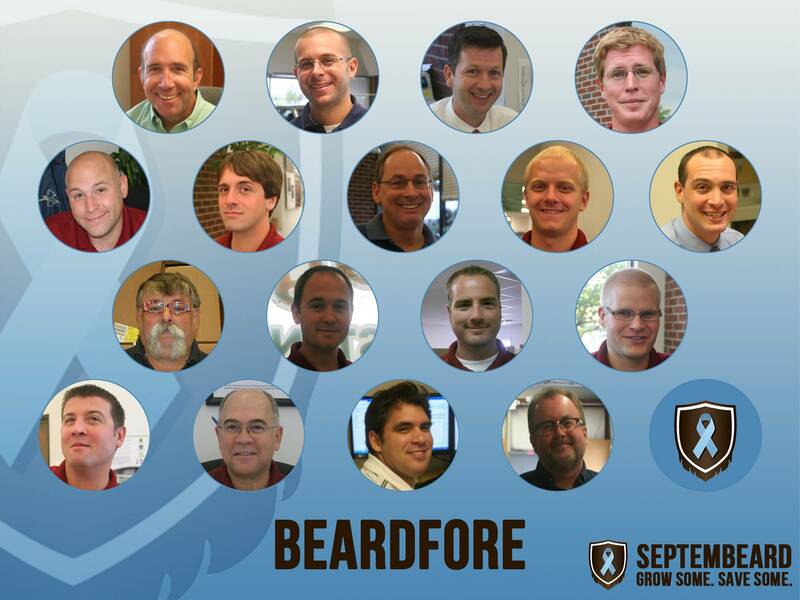 The days passed, the beards grew, and we had 2 of the original brave 17 succumb to the blade. We even had posters made to inform our customers why some salesmen had scraggly beards, but it wasn’t enough. Both Mason and Jason shaved over a basin, and got back to clean facin’. Alas, the remaining fifteen grew on. The days were growing shorter, the beards were growing longer and the month was drawing to a close. 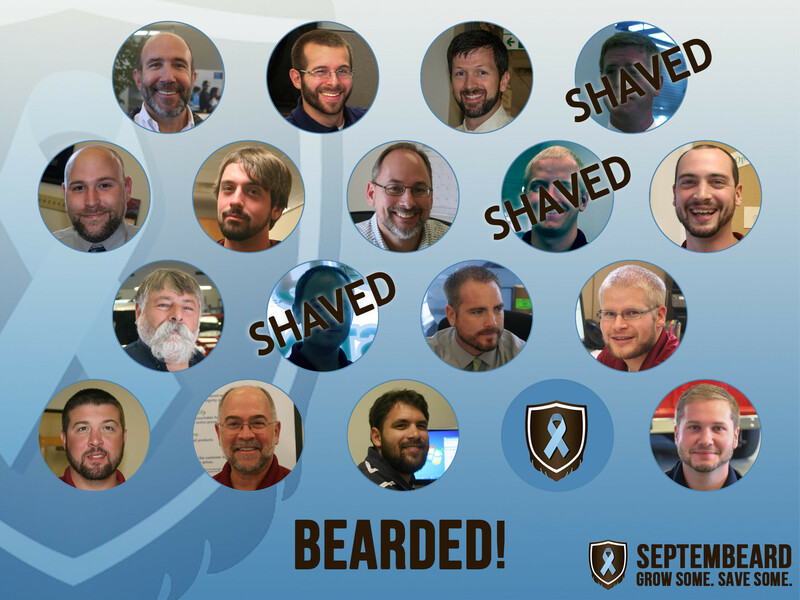 We had 14 employees from across our South Burlington campus shun shaving for the month to help raise money for prostate cancer research. We raised a total of $446 during the month of September and Heritage Automotive Group matched that, bringing the grand total to $892. 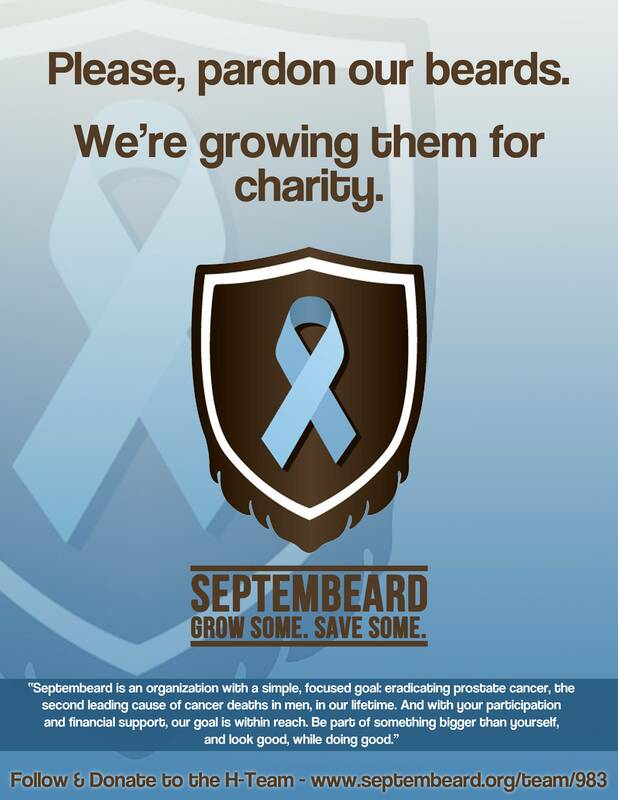 Septembeard defines itself as: “…an organization with a simple, focused goal: eradicating prostate cancer, the second leading cause of cancer deaths in men, in our lifetime. And with your participation and financial support, our goal is within reach. Be part of something bigger than yourself, and look good, while doing good.” While we might not have raised and donated the most money, we’re proud of each and every employee who participated and donated to such a great cause. All of that money goes straight to prostate cancer research, and that makes it all worth it. We’d also like to extend a big thanks to the Burlington, Vermont community for your support and donations; we couldn’t have done it without you. 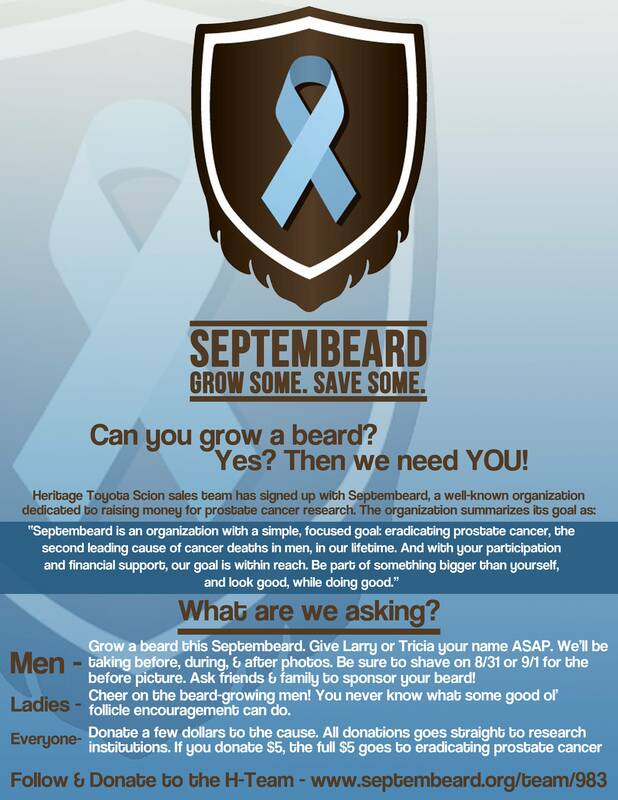 Posted in Community, Dealer Information, Heritage Ford, Heritage Toyota Scion, Special Events | Comments Off on Septembeard: Grow Some. Save Some. 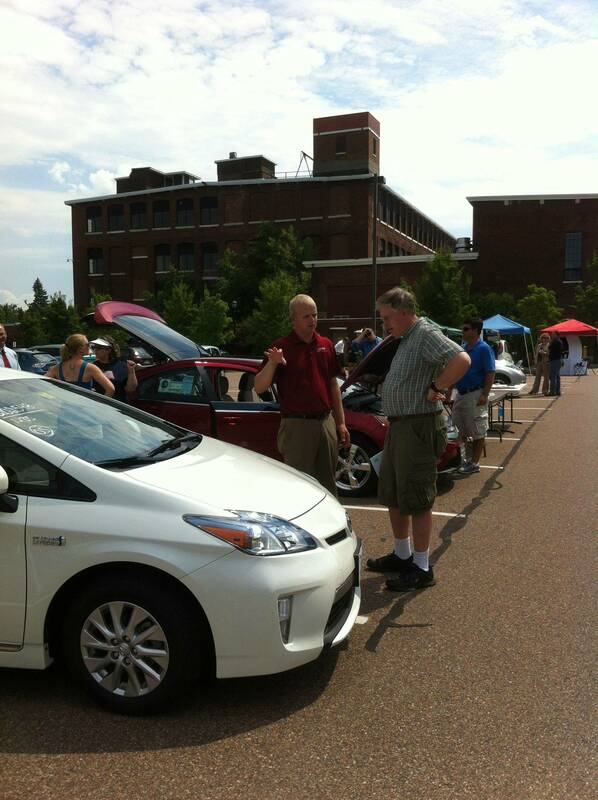 In early August, Heritage Toyota Scion was part of an electric vehicle demonstration at the Vermont Energy Investment Corporation in Burlington, Vermont. VEIC invited a handful of local dealerships with electric vehicle options with the goal of educating the public on the EVs available, how to make the switch to electric, and how to maintain an EV. 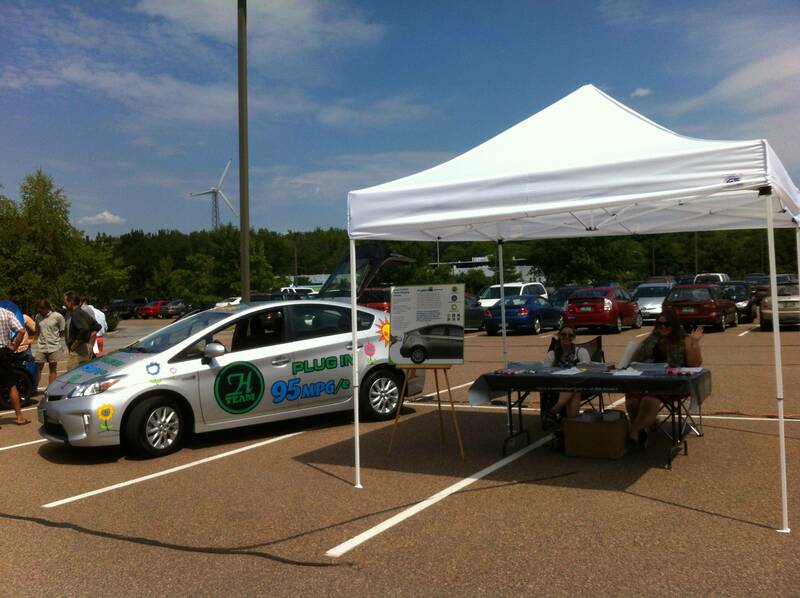 Salesperson, Mason Maltais , and shop foreman, Ryan Holland answered questions on two Prius Plug-ins provided by Heritage Toyota Scion. 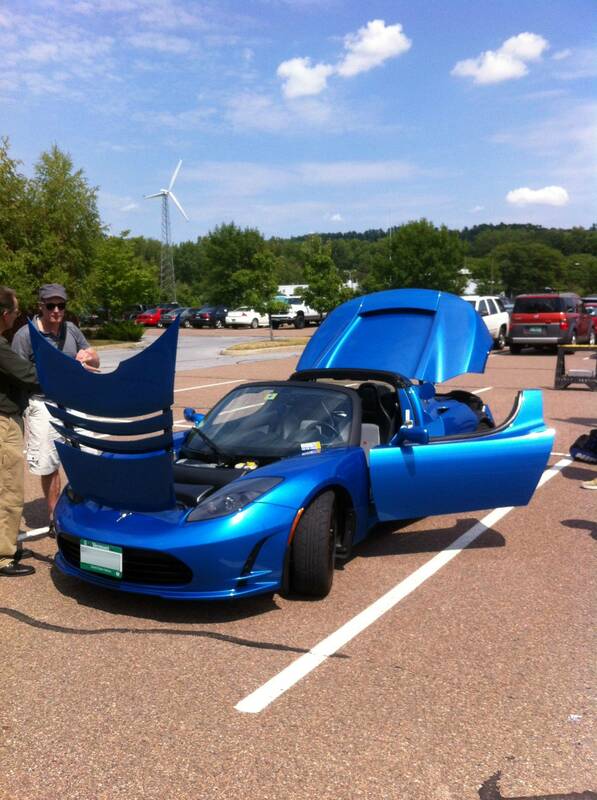 Other EVs on display included the Chevrolet Volt provided by Shearer Chevrolet, Nissan Leaf from Freedom Nissan, Mitsubishi i from Burlington Mitsubishi, and a Tesla Roadster from a Vermont resident’s personal collection. Lieutenant Governor Phil Scott and Burlington Mayor Miro Weinberger were among the crowd of over 200 people who attended the event. Although it was scorching hot outside, the attendants stayed cool with free scoops from Ben & Jerry’s, and air conditioned test drives. VEIC hosted a great informational event and we’re glad to have participated.